A red bar instructing you to connect to the Revel network appears on the Point of Sale when you’re connected to a mobile network. The message appears on the iPad Point of Sale when the iPad is connected to a mobile network. The mobile network is not a Revel one. Log in to the Revel Point of Sale. The PIN you use must belong to a manager or employee with access to Point of Sale settings (Read more about Roles and Permissions here). On the dashboard, tap the Settings icon. 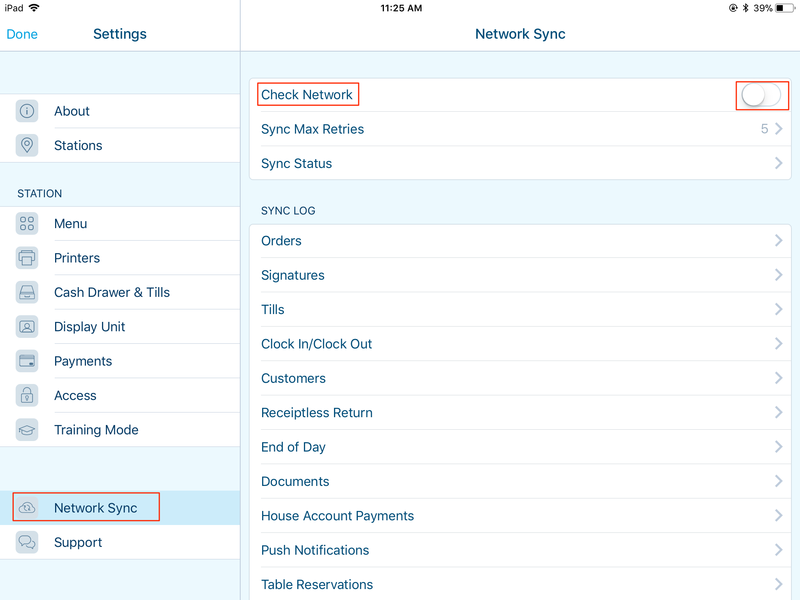 Tap Network Sync, turn off Check Network, and hit Done. The red bar should disappear.